צום - to fast. Steinberg describes fasting as "wrapping oneself in hunger, abstaining from eating food", as in Tehilim 107:5. Jastrow offers "to restrain one's self." צמא - to be thirsty. The tongue and throat contract from lack of water. צמד - to join, couple. Klein here says that the meaning is "he bound up, bound together". 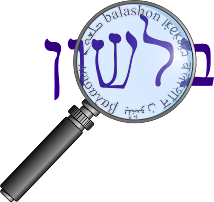 From here we get the words tzemed צמד - pair, and tzamid צמיד - bracelet, which according to Klein means "that which is bound on the wrist." צמה - lock or braid of hair, also a veil. The hair is drawn together. צמצם - to press, reduce, contract. From here, according to Klein, Rashi coined the word tzimtzum צמצום - restriction, limitation, which was later adopted by the Kabbalah. צמק - to shrink, shrivel. Raisins in Hebrew are צימוקים tzimukim. צמת - one meaning is "to join, attach, contract". From here the word tzomet צומת - juncture. Another meaning is "to oppress, subdue, destroy". Steinberg associates the pressure with the sense of contraction we see in other words with this root.